Interdisciplinary questioner, contextual ethicist, discourse analyst, compassionate warrior, spiritual eclectic, knowledge leader, former academic, ex-Jehovah's Witness, writer, poet, artist, singer, mom, wife, lover, sister, daughter, niece, cousin, dear friend, supporter, champion, worthy adversary, and very talented loafer. And that doesn't say anything much at all, does it? 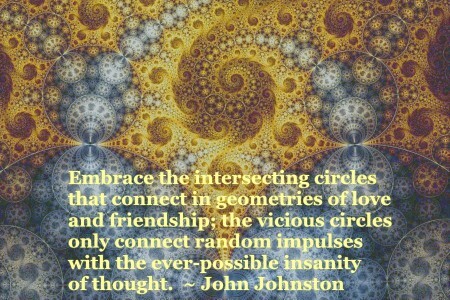 Walking the narrow edges of fractal pathways requires an ethics of compassion, footsteps chosen or constructed with kindness and care. Yet I am frustrated in all directions, still scenting the air for those elusive golden threads, the sweet spots of thriving that are at once so fragile and strong. I cannot help but believe in them, although I trip over them so seldom now. I wonder how I can sometimes be so discouraged by contexts that show little tolerance of complexity and nuance; and yet so yearn to express provocative bluntness. My intellectual hubby sent this comment to me today in a slightly different context, but it resonated with these deeper concerns of priority, discernment, focus, and compassion for myself as well as others. The uncharacteristic mushiness of it is tempered beautifully by the hint of menace at the end. Always returning again to Kierkegaard, trying to swim beyond resignation into courage. 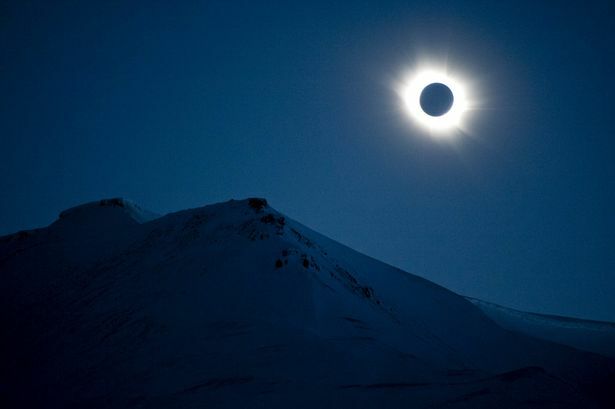 Watch highlights from the solar eclipse as seen from Newquay in Cornwall, from Svalbard in Norway and the Faroe Islands. Professor Brian Cox, Dara O’Briain and Liz Bonnin bring us coverage of the solar eclipse from http://www.bbc.co.uk/stargazing.